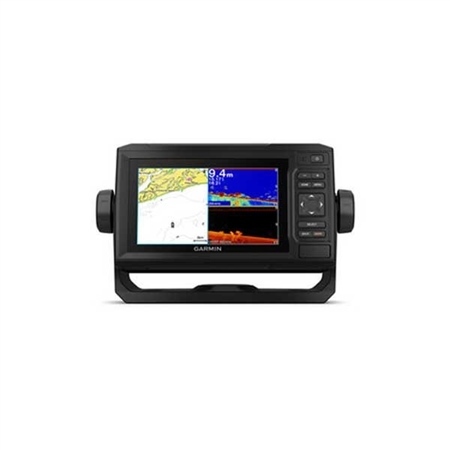 Bright, sunlight-readable 6-inch combo includes support for crisp, clear Garmin CHIRP traditional sonar and CHIRP ClearVu scanning sonar. BlueChart g2 HD and BlueChart g2 Vision HD compatibility. Built-in Wi-Fi to pair with the free ActiveCaptain app for access to OneChart, which allows you to purchase and download new charts. ActiveCaptain also gives you access to smart notifications, the ActiveCaptain community for marinas and other points of interest details, Quickdraw Community data and more. You can also share waypoints and routes with other ECHOMAP or STRIKER units.